Home » Internet » Do You Know About SPYSCAPE Museum NYC? Nowadays you can hear about many scams or other spy-related intrigues in current political scenario, where there is need for intense scrutiny. Therefore, it’s not at all surprising that spy mania has procreated a whole new kind of industry of films, books and TV shows. Another interesting thing that has recently opened in New York city which is known as SPYSCAPE, which can help in educating all visitors about espionage and also testing their own skills in spy craft through an array of different interactive exhibits. However, don’t consider this museum is just a vision that is meant for armchair spies, as a matter of fact, this museum has been created by taking help of few “real spies,” who were also former head of British intelligence. Visitors here will get fully engrossed in the spy world, that will start their appearance in a Briefing-Lift, where they will be sent for a mission for discovering their own ideal spy role. All participants will be provided a digital wristband, that will allow the participants to have interaction with exhibits and other “question stations” that are designed for testing their IQ, personality and risk assessment to decide their aptness in different roles of spy. There are 7 galleries, that focuses on spy roles e.g. encryption, deception, surveillance, intelligence, hacking, cyber warfare and any special operations. SPYSCAPE can evaluate the performance of the participants on various spy tasks through colourful animated displays and few spy games. The museum also provides few seminal moments in the real spy history by telling the details about Robert Hanssen who was a CIA mole working for the Russians and the event of Oleg Penkovsky, who was Soviet double agent. Also, how Nazi code was cracked by Joan Clarke, Alan Turing and other cryptologists of British intelligence during WW II. The exhibition also displays the extent the Stuxnet virus totally derailed nuclear program of Iran in 2010, and about the internet virus that could totally cripple oil pipelines and electrical grids. Further, the museum also examines the hacker development that can sweep our world, which also includes the emergence of one hacktivism which is a kind of hacking done for political purposes. Also, there are few notorious hackers, who were transformed into an ethical hacker for serving security services and the society. Another specialty about this museum is its ability to examine the existing conflict between security and privacy. In this respect, the museum authority draws attention about the extensive data collection done by the NSA from various US citizen and also highlights the debate about various public disclosure of controversial and confidential surveillance programs. The museum also expands its coverage much beyond the conventional world of spy to tackle the surveillance use for benign civilian activities. As an example, it mentions the unnecessary use of video-tracking by some journalists in order to help obtain the 2,000 migrant worker’s release, who were held as slaves in one Thai seafood cargo-ship. Finally, while concluding the exhibition, visitors will learn which role of spy will best suits to them. Think of surveillance officer, handler, special ops officer and intelligence analyst. The bookstore of museum is generously provided with security and espionage books, that includes a WWII British intelligence manual, James-Bond-themed books, guides to hacking, small drones and few other materials. As a whole if you look at the visit of SPYSCAPE, it is really an enjoyable as well as riveting experience, not only for aspiring spies but also for those who really are not espionage buffs. 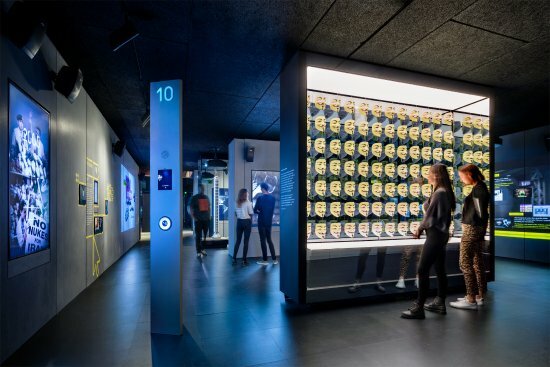 In order to get more detailsabout this Museum, how it can help you to become a spy and book your tickets, you can visit the website: http://www.tripindicator.com/interactive-spyscape-museum-nyc.html.